Detailed and highly accurate wine maps of the most popular wine regions in the World. 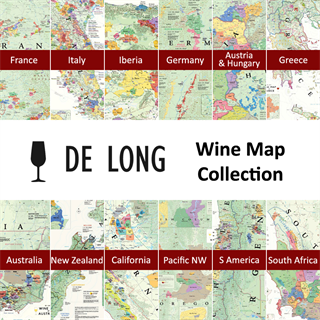 Save 20% when purchasing the De Long Wine Map Collection compared to purchasing individually. All of the De Long Wine Maps have been extensively researched and are highly accurate. Each map measures 36" by 24" (914mm x 610mm) either portrait or landscape on heavyweight acid-free archival paper which is perfect for framing. Selected maps are also supplied with a small booklet for more reference points (France, Italy, Spain & Portugal & Greece). All of the maps are made using the latest mapping technology, current wine laws and regulations of each region, as well as consultation with wine industry professionals. 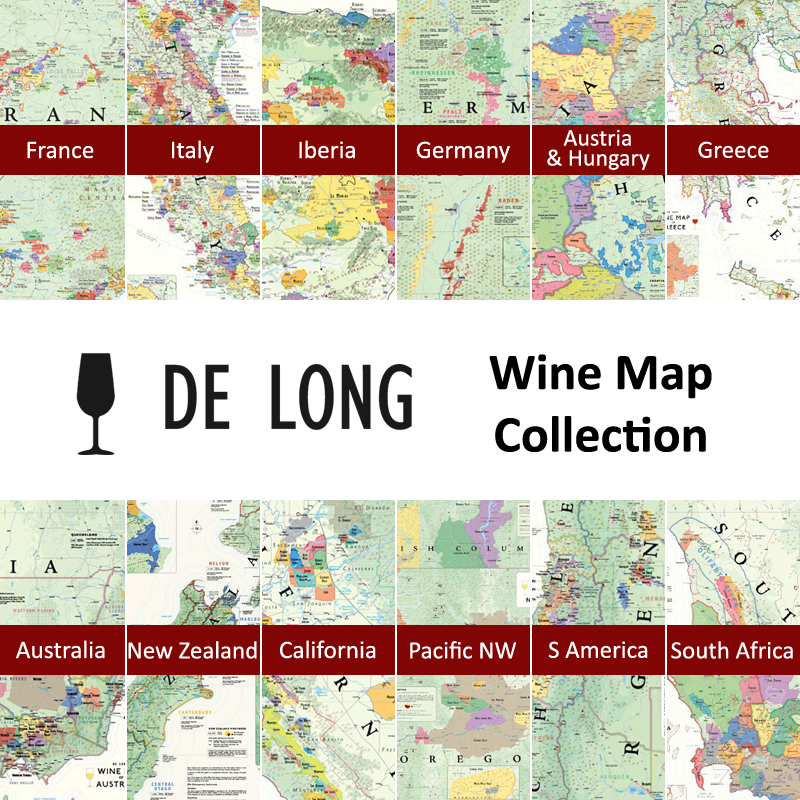 Please Note: The De Long’s Wine Map Collection (12 Maps) will be supplied in one tube. The collection excludes 'Metro style' versions.